I just read over on KirbyMuseum.org that the Hunterdon Art Museum in Clinton, NJ will be hosting a Jack Kirby art exhibit from March 28 through May 16th. 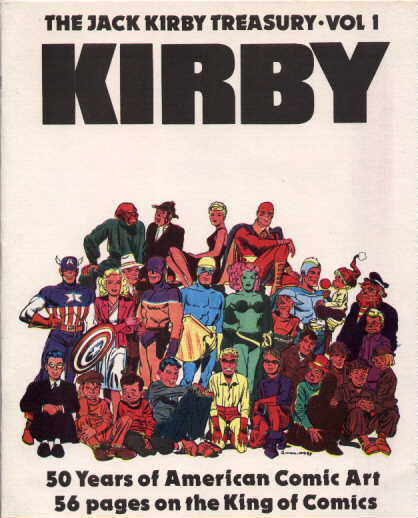 Neither Kirby Museum nor the Hunterdon site mention what Kirby pieces will be on display, though if the name is any indicator, it will focus on The King’s Marvel work (but again, it could be anything). I did some research and found that the museum’s about an hour and 40 minutes away from where I live, so this might be an I Want To Go To There that I can actually go to. As I’m more a fan of Kirby’s DC work, that’s the stuff I’d be most interested in seeing, but really, seeing the actually pages that he drew of ANYTHING would be worth the drive. Wow, that’s a big logo huh? 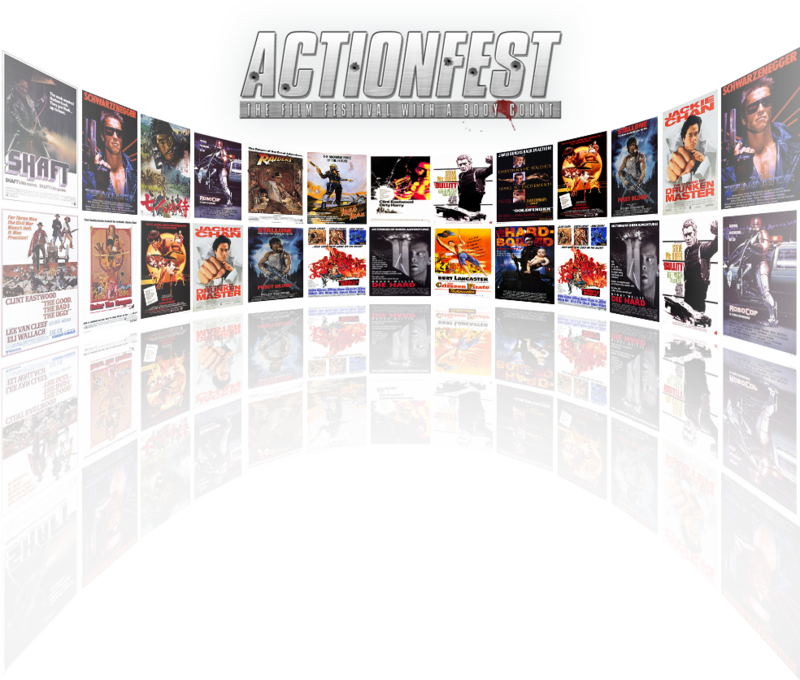 Deservedly so for the upcoming Actionfest which will be held on April 15-18 at The Carolina Asheville theater in Asheville, NC. Tickets are $10 for one show and $65 for the whole shebang. The festival will feature tons of action movies, though a final schedule hasn’t been laid out yet, the premiere of Centurion by Neil Marshall (who did Dog Soldiers which I didn’t like much, Descent which I haven’t seen yet but have heard good things and Doomsday which I loved) and Chuck Norris being awarded a lifetime achievement award. Had I unlimited resources I would buy tickets for a big group of my friends, rent a few buses and roll down there in style. Man, I really want to go to this. Welcome to a new, hopefully regular, feature here on UnitedMonkee where I talk about places I want to go to with a title lovingly borrowed from 30 Rock. 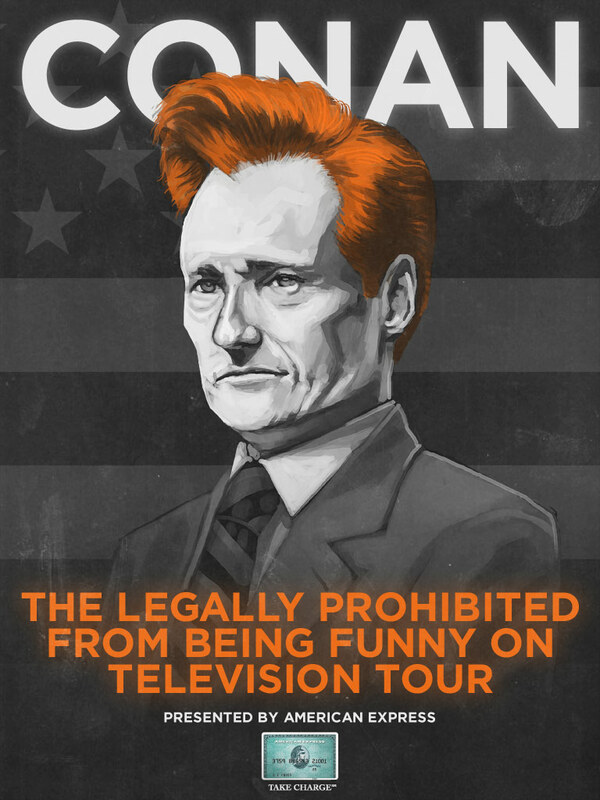 I was a little behind in my Google Reader and Bloglines reading today so I just found out that Conan O’Brien’s going on a tour called The Legally Prohibited From Being Funny On Television Tour which will also feature Andy Richter and the Tonight Show Band now thanks to THR. They also pointed me towards Conan’s Twitter page, which I subscribed to the RSS feed of (I refuse to join Twitter until I become something of a big deal and people will just need to know when I’m going to the coffee shop) and Conan’s site called TeamCoco where you can order tickets. Anyway, I’d love to see this live. He’s going to be at Radio City Music Hall in NYC June 1st and 2nd, Atlantic City on May 30th, Boston on June 4th and 5th and Mohegan Sun, all of which seem like viable places for me and the missus or some friends to catch the act. Anyone want to help bankroll this trip?